Too cool. 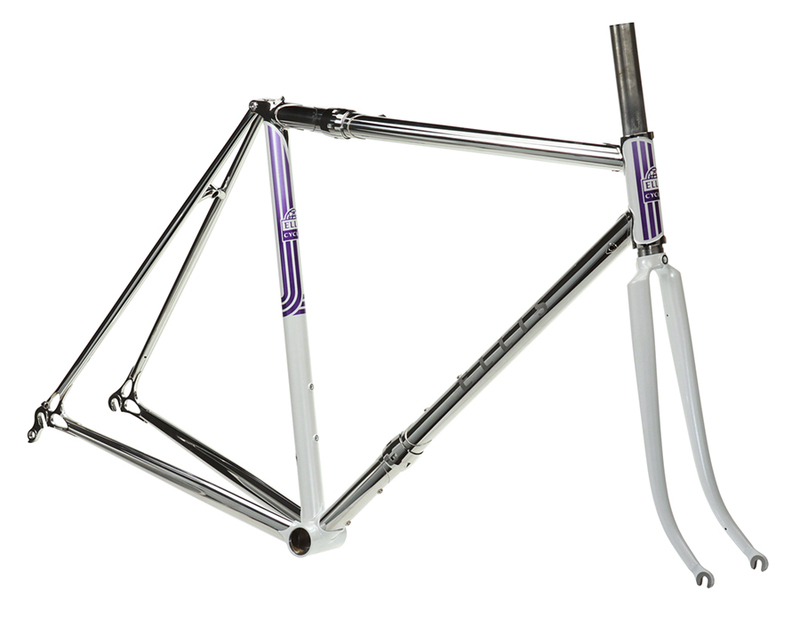 It's not a "full" stainless frame (steel is used to avoid the distortion problems that stainless is prone to) but the combination of a steel seat & head tubes plus stainless in the rest of the frame adds up to the best combination of materials and a stunning aesthetic. It's not easy to build, nor is it cheap, but you’ll be the coolest kid on the block! 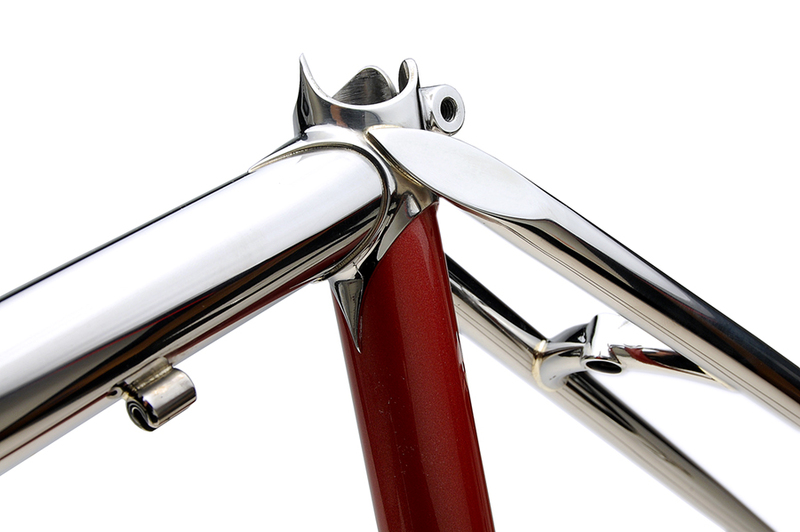 glossy polished stainless lugs, rear triangle, top and down tubes. The bike is jaw dropping. My friends are drooling. The ride is perfect - everything I asked for. Just enough cush, but plenty stiff. I really like those 28s and the ability to drop it down to 25s. The DI2 Shifting is phenomenal. 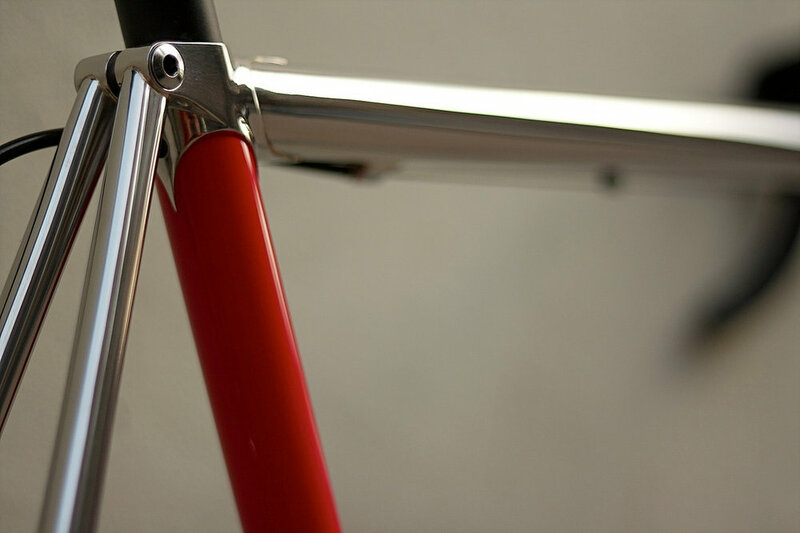 The contrast of gloss red paint to the polished stainless is stunning on Chris' Ellis. Masking the transition from paint to polish takes lots of skill and a steady hand. 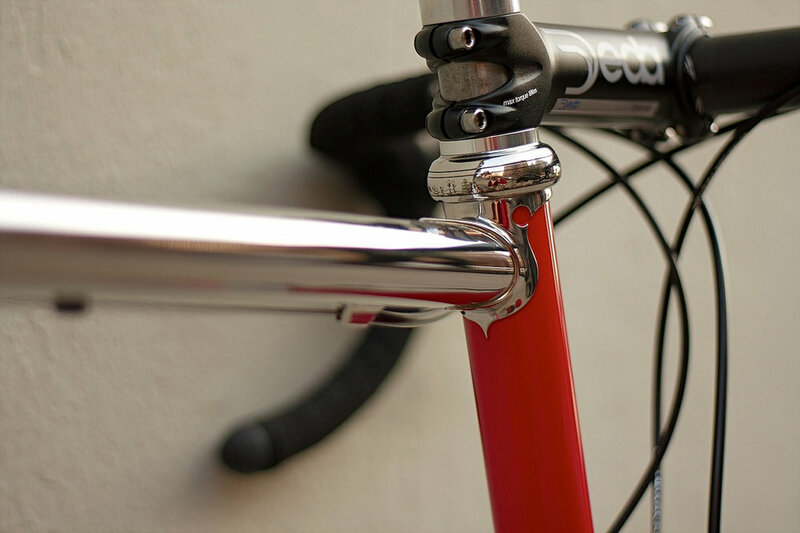 My "Classic" style head lug on Chris' frame. Rudy's Strada Inox incorporated S&S couplers for easy traveling along with a super unique paint scheme. 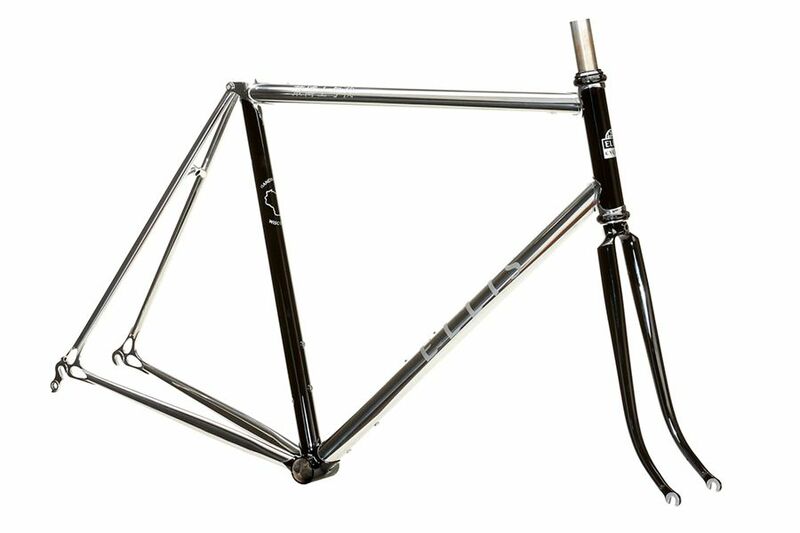 My Ellis logo is glass bead blasted onto the polished downtube for a subtle classic effect. When the final product will be fully polished, there is no where to hide bad finishing.